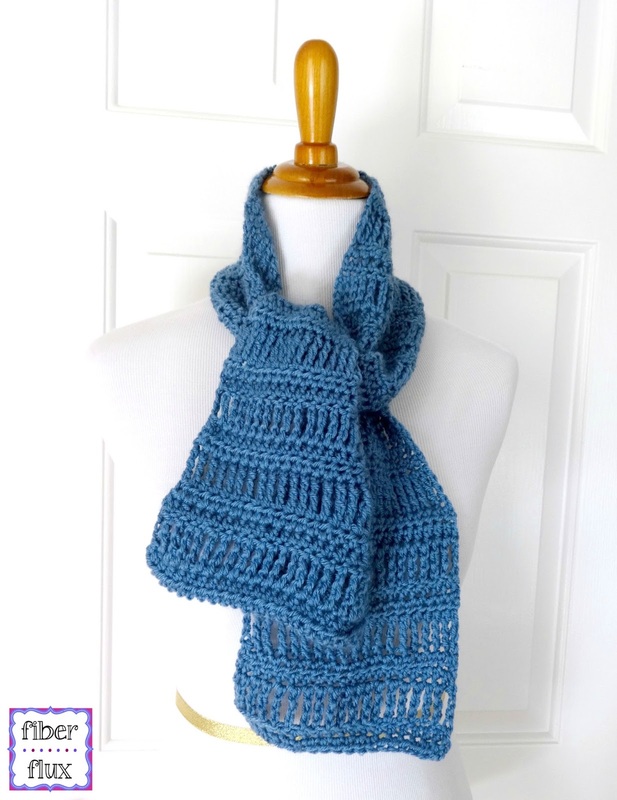 Fiber Flux: Free Crochet Pattern...April Showers Scarf! 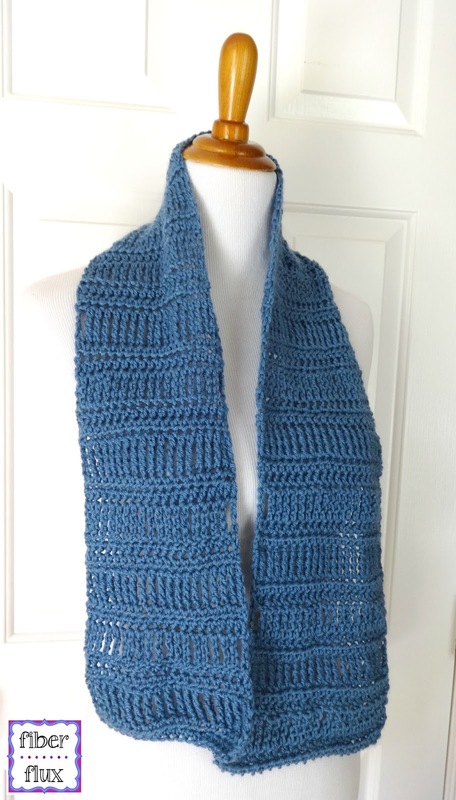 Free Crochet Pattern...April Showers Scarf! 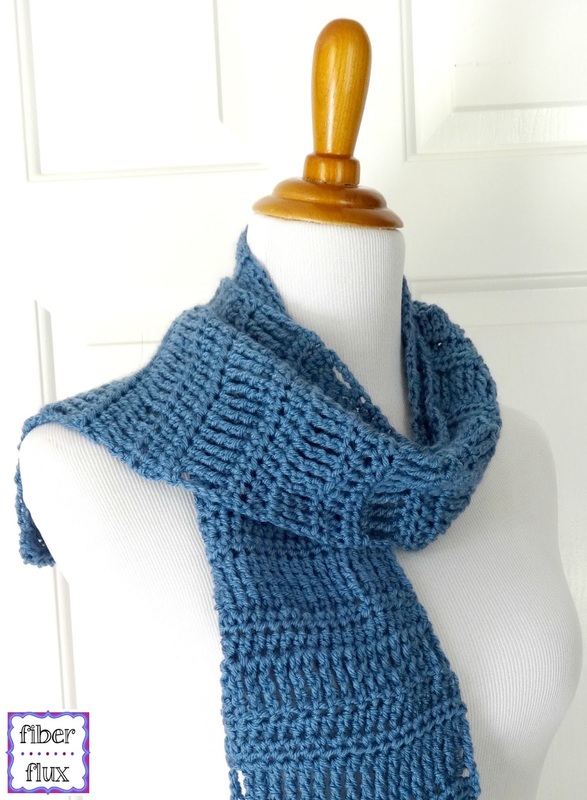 The April Showers Scarf is a lightweight, airy, and soft... perfect if you need a little something around your neck. 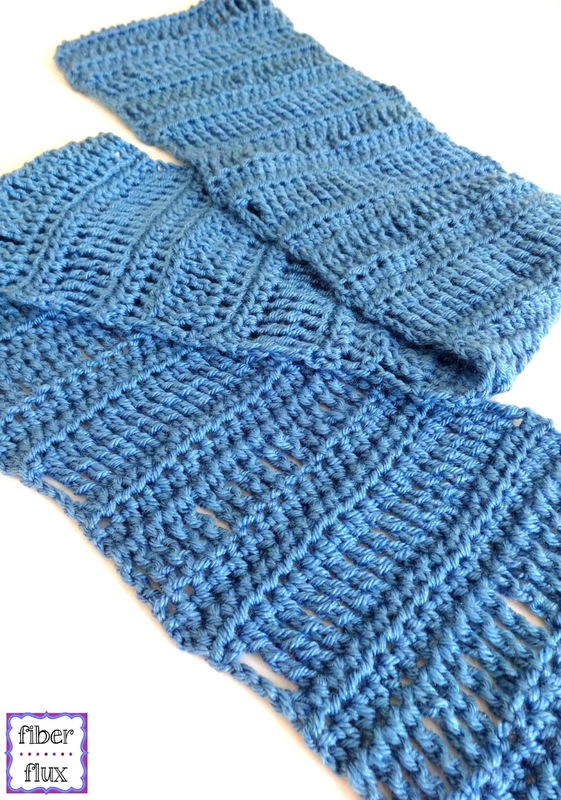 Double treble crochet stitches give the scarf an open feel and interesting texture too! Row 1: In the 3rd ch from the hook, work a hdc (half double crochet). Work a hdc in each ch across. Row 2: Ch 2 and turn. Work a hdc in each st across. Row 4: Ch 5 and turn. Work a dtr (double treble crochet) in each st across. Repeat rows 2-4 until scarf is about 48 inches long (or desired length), ending the scarf on row 3. Work row 2 one more time for a finished edge that looks similar to the other side. Fasten off and weave in ends. For more fun projects and pretty patterns, be sure to follow Fiber Flux onGoogle+,Facebook, Twitter, and Pinterest for the latest updates! Hi Jennifer.....I love this pattern and started it tonight. Just wondering how many double treble crochet stitches you have in your rows. I have 23 in mine (counting the chain 5 turning chain). I tried to count yours and if I am correct there are 19 stitches. I have done only the first row of dtr's and the sides look even but will wait on your reply before I keep going. Thanks for this beautiful pattern. Just finished my scarf...and I love it! I crocheted it in Paton's Silk Bamboo in "almond". 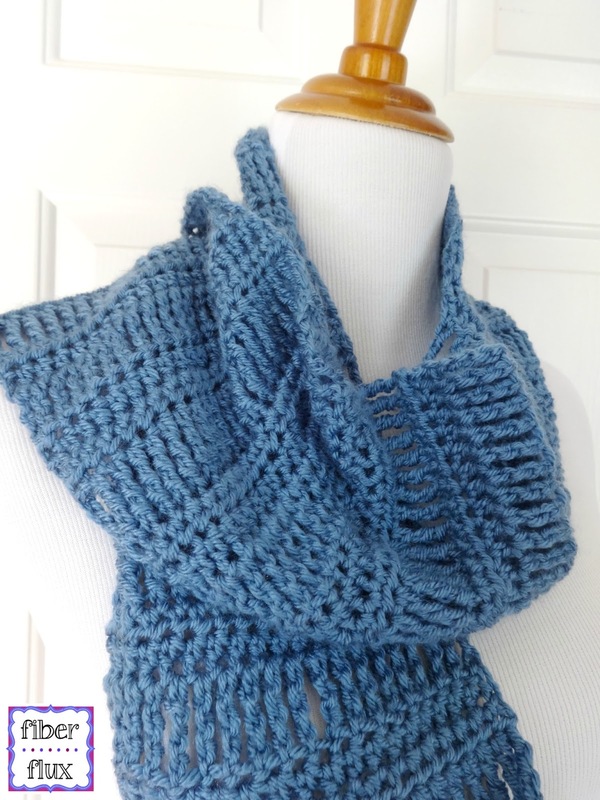 It is amazingly soft and silky and looks wonderful in this pattern. Thanks for making and sharing your videos. I've made a number of things from them and they are always easy to follow and work up perfectly!